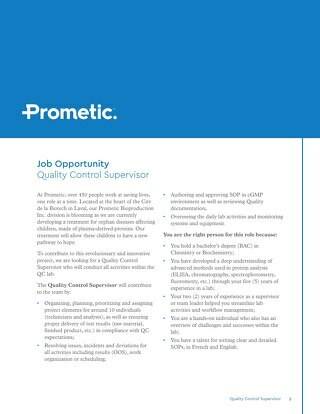 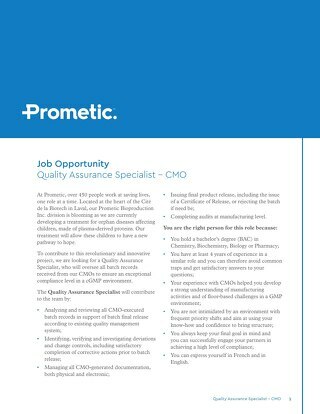 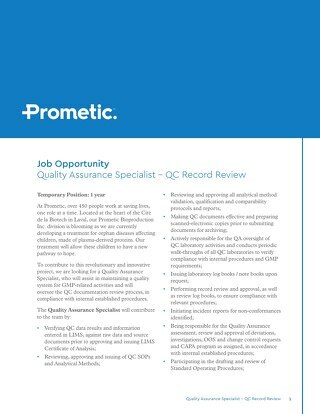 Prometic Life Sciences Inc. is hiring a Quality Assurance Specialist at our headquarters in Laval, Qubec. 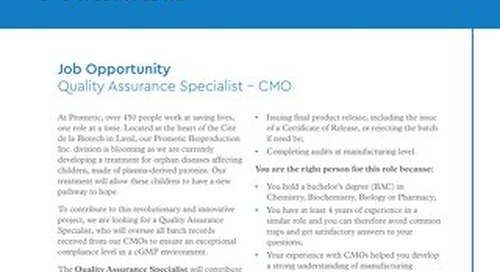 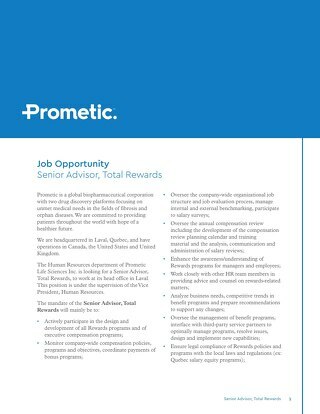 Prometic Life Sciences Inc. is hiring a Senior Advisor, Total Rewards at our headquarters in Laval, Qubec. 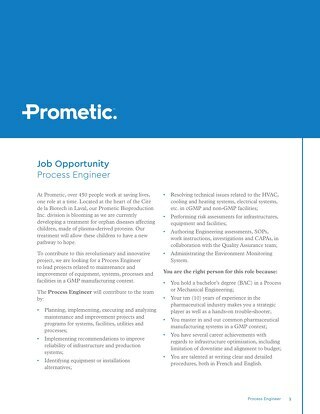 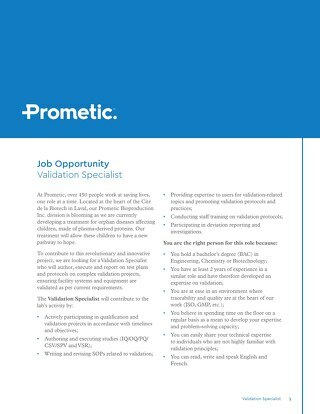 Prometic Life Sciences Inc. is hiring a Validation Specialist at our headquarters in Laval, Qubec. 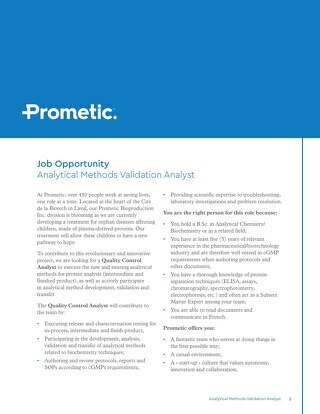 Prometic Life Sciences Inc. is hiring a Analytical Methods Validation Analyst at our headquarters in Laval, Qubec. 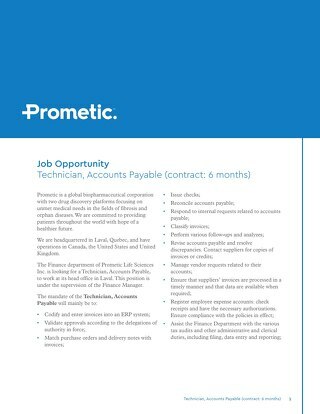 Prometic Life Sciences Inc. is hiring a Technician, Accounts Payable at our headquarters in Laval, Qubec. 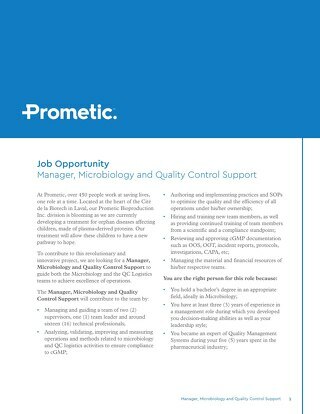 Prometic Life Sciences Inc. is hiring a Manager, Microbiology and Quality Control Support at our headquarters in Laval, Qubec. 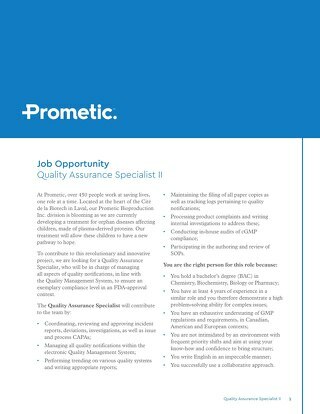 Prometic Life Sciences Inc. is hiring a Quality Assurance Specialist II at our headquarters in Laval, Qubec. 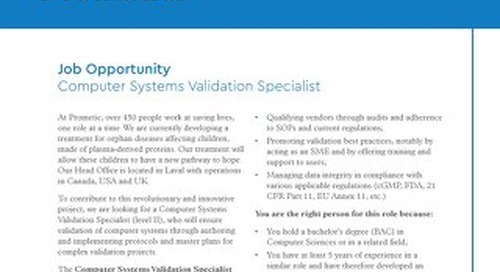 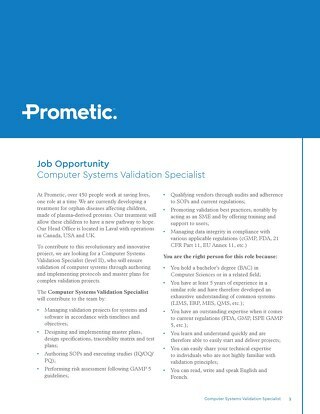 Prometic Life Sciences Inc. is hiring a Computer Systems Validation Specialist at our headquarters in Laval, Qubec.